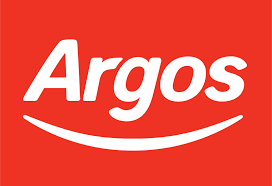 As many of you may know, Argos is a catalogue retailer available in the UK and Ireland. They have a range of products such as toys, furniture, laptops and much more. Argos, like many retail companies, have their own app. However, at the minute this app is not available in Ireland. A number of people from the UK tweeted to the @Argos_Online twitter page last week, all praising their latest app update description. The Circular decided to investigate further. It turns out that Argos UK app have been posting funny app update descriptions for a number of years. The descriptions are quirky and tell users how they’ve changed in the app in an interesting and relatable way. The Circular compiled ten of the best update descriptions. Beginning with the one that caught our eye last week. It is clear that a lot of effort is put into creating these unique descriptions but app update descriptions often go unnoticed by users. However, it is obvious from the reaction on Twitter that these descriptions often brighten up the day of those who come across them. Why does the League of Ireland get little media coverage?